The Internet of Things (IoT) is going to shape the future. It’s a bold claim but a realistic one too; the somewhat nebulous term of IoT encapsulates almost every aspect of technology but it needs to be vague at this stage, after all it’s a concept and not necessarily a physical thing you can see in front of you. Writers, filmmakers and scholars dream about a ‘world of tomorrow’ - everything controlled by computers. Many pieces of fiction over the years have shown a world where our lives are aided by computers and technology from the moment we wake up to the moment we go to bed. Futurology, as a field of study and school of thought, has a tendency to sound cliche in its nature sometimes. There’s a good chance that when you think about computers being involved in every aspect of our lives your mind jumps to the mental images of Terminator, or some other robotic uprising that will cause the extinction of the human race. Well, reign it in a bit, we’re a long way from that yet. Hopefully. The kind of robot-assisted future that’s within current reach is more one where our technologies, smartphones, tablets, computers and watches all communicate seamlessly with each other as well as the technologies in the world around us. The ‘Smart City’ is the goal here and we’re already seeing signs of its emergence; in London you can use your smartphone or watch instead of an Oyster card to get around on public transport and NFC has been in operation to make payments for some time now, be it from a phone, watch or bank card. Infact, Gartner predict there will already be 4.9 billion connected "things" in use by the end of 2015, which is already a 30% increase on 2014. That’s set to hit 26 billion by 2020 with the consumer sector alone will making up 13 billion of those devices. 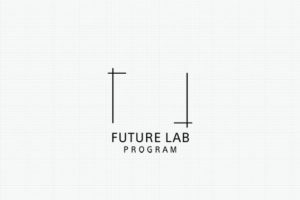 We’ve made the first steps, but what would the world look like if you spent a day in a true ‘Smart City’ of the future? How would your day look if everything you did was computer assisted? The ‘Smart Home’ sounds too futuristic to be realistic, but by 2017, about 40% of the 2.6 billion things connected within smart cities will be inside smart homes. From sunrise to sunset, the house of the future will be a wholly different experience from what we currently know. Waking up is always a painful experience; but the ‘smart home’ has an answer for that. We already have technology within smart watches which can track all aspects of your bodies activities - even sleep. A few years down the line this can only get more accurate and effective. But with the Internet of Things, everything is connected. Your smartwatch communicates with your phone that it's time for an alarm - which is then wirelessly synced with the speaker system in your house and plays a personalised playlist that is designed to wake you up in the gentlest way possible, with your musical preferences in mind. Because of this connectivity, when you silence the alarm on your phone it tells all the technology in your home that you’re up and ready for the day. The radio clicks on, automatically selecting a station based on your listening patterns when you’ve been out and about for the past week. In the future home there is likely to be sensors in every room that communicate your movements to the computers and allow for the ‘smart-home’ to make your morning as easy as possible. As you leave your bedroom and walk down the stairs, your coffee machine switches on and starts to brew your favourite coffee. Meanwhile, the TV fades on with the weather forecast for the day ahead, for both home and work. The ambient lighting throughout the house gradually grows brighter until it matches the light levels from outside, syncing your circadian rhythm to the day ahead. There could be a small camera on the front of the TV with hyper accurate facial recognition, it knows you’ve seen this forecast and immediately switches over your itinerary for the day. “Work. Meeting at 3pm. With a swipe of your hand the schedule it is sent from TV to the smartwatch on your wrist and you’re good to go. Just as you turn away to get ready, a message pops up on the TV reminding you to take your daily vitamins and have a protein shake - the wearable technology on your wrist is so advanced it can detect imbalances in your diet and correct you as the day goes on. No amount of technology can help you get clean and dressed, but the future house could well implement such futuristic technology like smart touch screens built into the glass in the shower - keeping you up to date with news bulletins and travel information that will alert you to any traffic problems that might slow you down on your route to work. This is data collected from your smart phone that tracks your day to day movements - something that already exists now, but imagine how much powerful and effective the tech will be in the future. The house is always maintained at a perfect ambient temperature for you based upon biometric data collected from the wearable technology - but it’s a familiar London chill outside. The heating systems in the future home are no strangers to the technology advancements. Based on the ‘Hive’ acting heating first introduced in late 2014, the future home has this connectivity taken a new level. Not only is the heating controlled from your wearable and mobile technology, the fully integrated system takes advantage of the potential for true connectivity and maintenance messages will be automatically sent to your devices. Imagine that scenario; a home where a slight crack appears in a pipe in your central heating system, normally a great source for concern at best and a disaster at worse and you would have to wait until something went wrong before you would even know to seek maintenance. In the future home a push notification is sent to your smartwatch the moment a problem is detected, you acknowledge it with a fingerprint scan and the message is relayed to the house and onto your provider, who then send out someone to fix the problem right away. 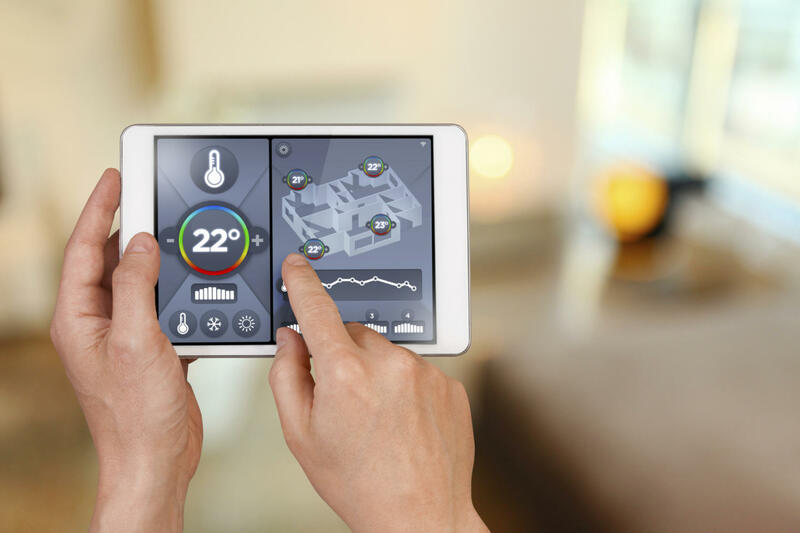 The true potential of a smart environment control system in the home doesn’t end at streamlined servicing and personalised temperature settings. With a system running on IoT it will be possible to aggregate all the data from your energy consumption and provide insights from analysis of this big data. This creates a house that is actively trying to save you money as the months go on. Not only is this great for the individual, but the potential energy savings from millions of houses all over the country would have a profound effect upon CO2 emissions. When it’s time to leave the house, the process will become significantly quicker than what we do now. You pack your bag, laptop and tablet and step outside the door. There’s likely to be no keyhole, just a white pad on the door. You would simply brush your smartwatch against this, the NFC technology inside locks the door and shuts off all the lights and unnecessary electronics. The power then swaps over from using electricity from the grid to the Tesla-style battery mounted on the outside wall - it keeps the essential appliances ticking over using energy from the solar panels on the roof. The fully connected home can communicate with your wearable and mobile devices at the drop of a hat. Did you get half way to work and think you may have left the door open? No problem, boot up your phone and you can check all the locks in the house - operating them remotely right there and then. This would work for every appliance in the house - the dangers posed by leaving the oven on or a pair of straighteners are easily mitigated, simply log on, scan your fingerprints and control everything in your home. In the near future, it is expected that IoT will be affecting every facet of our lives. In the next part of this series we will take a look at the ‘Connected City’ and how IoT technology will be integrated into all we see around us.